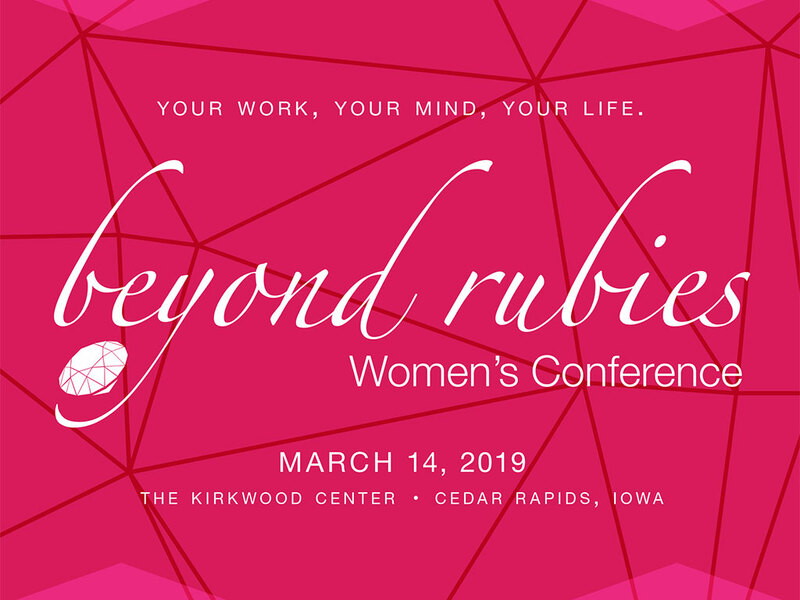 CEDAR RAPIDS, Iowa (February 27, 2019)–Kirkwood Community College will host the 2019 Beyond Rubies Women’s Conference on Thursday, March 14, at The Hotel at Kirkwood Center located at 7725 Kirkwood Boulevard SW in Cedar Rapids. This year’s conference will feature Candy Whirley, an energetic and interactive public speaker who will share her wealth of knowledge on the importance of emotional intelligence. By highlighting the four personality styles, Candy’s keynote address will help attendees understand their own emotions, how to manage them, how to recognize emotions in others, how to choose their emotions, and the importance of handling their emotions in relationships. This year’s conference will include many breakout sessions featuring lectures like Work Relationships Are Hard – Let’s Talk About it, Lead Like a Girl, The Detox Project, and Finding Balance in Your Life, among others. For more information and registration, visit www.kirkwood.edu/rubies or call 319-398-1022 (toll free at 800-332-8833).